1400 feet of shutdown area. We are a non-sanctioned track. 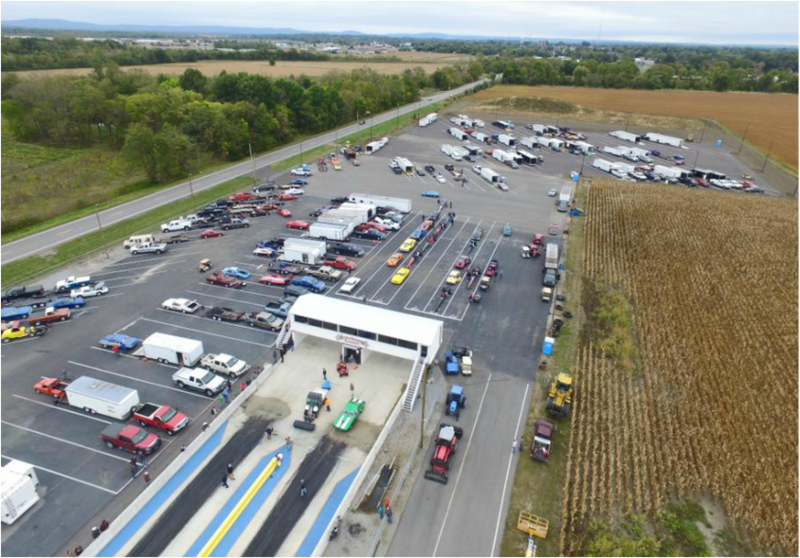 We have a large paved pit parking area for the racers. and parking areas you can view from your car or truck. We are proud of our full service concession stand with​ a friendly staff, fresh cooked food, snacks & soft drinks, with a covered eating area. 03 Friday Night Test & Tune - Gates Open At 5 PM. 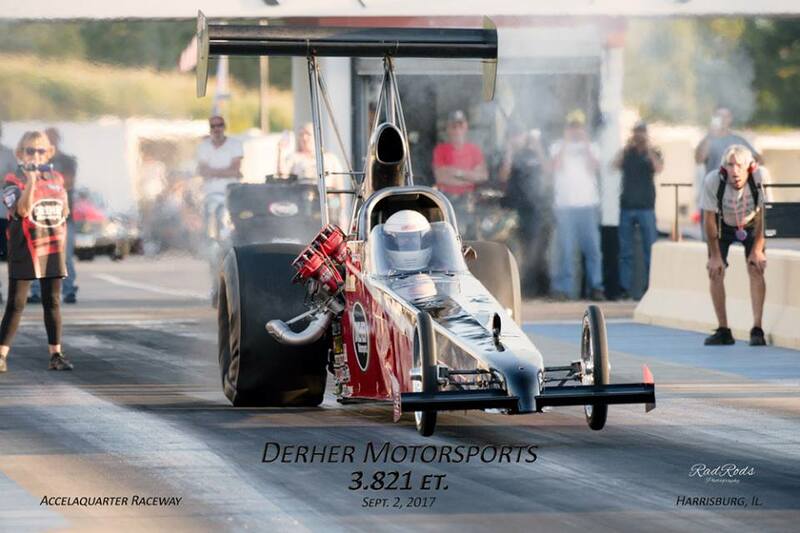 NEW FOR 2019; Pro Jr Dragster class. .500 Pro Tree, run on dial in, $20 entry. Anyone that had a reserved pit spot last year and anyone that would like to get one for the 2019 season may do so by calling me at 812-244-9331. Spots will be the same $100 as they were last year. of our racers and fans for your support this past season. Looking forward to a bigger and better 2019 season. WOW !!!! What a finish this past saturday as the points battle literally came down to the final round in Sportsman and Pro classes. Congratulations to all of our 2018 Champions as well as second and third place finishers. If you would like to receive important alerts via text message or your email, click on the link below to sign up. 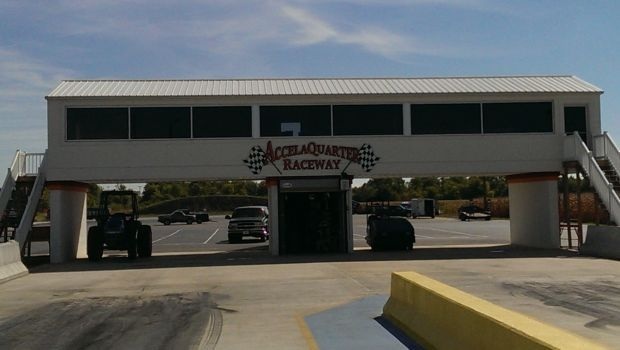 or via mobile opt in; Text HARRISBURG to 84483 to receive alerts from Accelaquarter Raceway. ​Thanks to Bret Ray for the above video!! 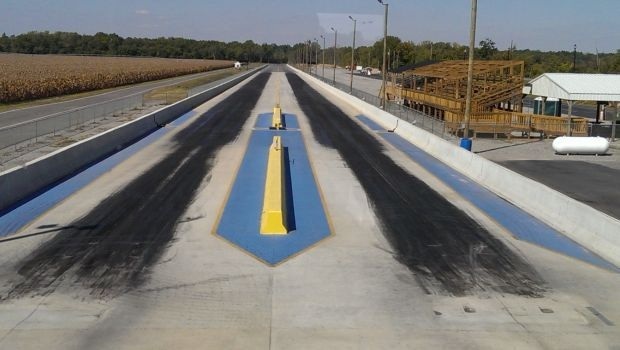 ACCELAQUARTER RACEWAY IS A 1/8 MILE DRAGSTRIP LOCATED AT 2101 IL Route 34N, Harrisburg, IL 62946 1/4 MILE NORTH OF SALINE CO. FAIRGROUNDS, HARRISBURG, IL. Spectator admission $8 adults, 10 & under free.